Nicola’s children were just babies when their father locked her out of the house one cold night. Being locked out of the house in the cold was just another episode in a violent household. Nicola’s two children had already seen more than very young children ever should and for her, it was the last straw. 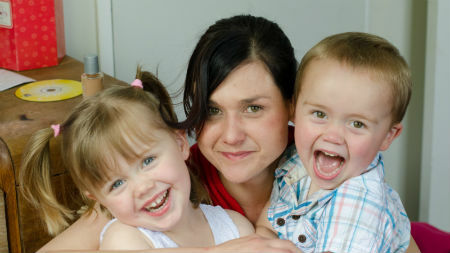 Desperate to get back to her babies, Nicola rang the Family Start worker she’d been referred to earlier by a Plunket nurse. Robyn responded immediately, picking Nicola up from the side of the road and taking her straight to a lawyer to begin the process of returning the children to their mother’s care. Robyn stood by Nicola for the next three years. She helped her find a house, and a day care centre for her daughter. She supported Nicola during the long months spent negotiating the children’s care arrangements through the Family Court. Nicola also completed a Family Works Incredible Years parenting course and now helps organise a weekly playgroup in her area. Eventually, she aims to get back to work as a hairdresser and continue to bring up her children in a home free from violence and abuse.